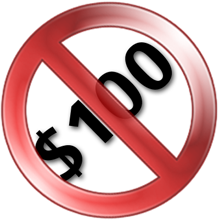 The base ticket price for RVAs3c is $100. However, until 3/14 all registrations will be half off–only $50! And if that’s not enough incentive to purchase your tickets early, late registrations (after 5/17) will be $150! Don’t forget all the things you get with registration, including 2 full days of talks, parking, meals, snacks, drinks, reception, prizes, a capture the flag contest, t-shirt & swag! Once again there will be no tickets sold at the door, and don’t forget that RVAs3c has sold out every year–so don’t wait!